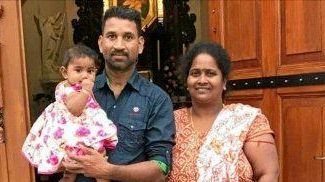 FEARS a Biloela couple will be tortured if they are forced back to Sri Lanka are mounting, with Home Affairs Minister Peter Dutton refusing to grant the family a visa. Tamil asylum seekers Priya and Nades have until February 1 to fight to stay in Australia after their deportation appeal was dismissed in the Victoria Federal Court last month. In response to an ongoing campaign for the Federal Government to stop the family's removal, yesterday Mr Dutton said Priya and Nades were "not refugees”. Nades and Priya fled the Sri Lankan war and arrived in Australia separately by boat in 2012 and 2013. 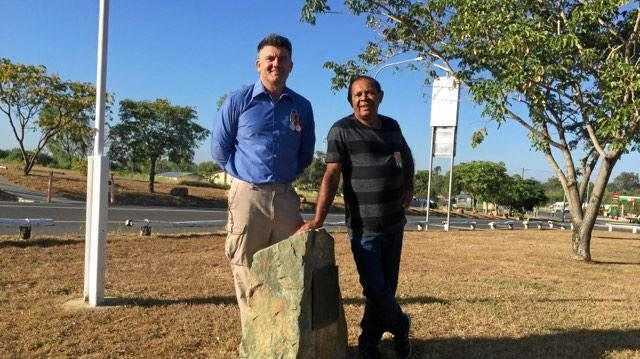 They met and married and had two daughters, Kopika, 3, and Tharunicaa, 1, in Biloela. But on March 5 last year, one day after Priya's bridging visa expired, the family was removed and placed in a Melbourne detention centre, where they have remained for 10 months. Mr Dutton said during every court appeal the family was found not to be genuine refugees. "I'm sorry to see the circumstance, which is of their own making,” he said. Biloela woman Angela Fredericks was appalled by Mr Dutton's claim that Priya and Nades were responsible for the detention and impeding deportation of their family. "Mr Dutton does not know this family ... after living and working alongside them for four years, we do,” she said. "I've heard Priya and Nades' story and I've seen the naked fear in their eyes when they speak about escaping Sri Lanka. Tamil Refugee Council spokesperson Aran Mylvaganam worries for the family's fate, should they be forced to leave. He said Tamils, an ethnic minority in Sri Lanka, were not safe in the country. "Priya has genuine fear of being persecuted,” he said. Priya and Nades were two of the 50,000 Illegal Maritime Arrivals to arrive in Australia between 2008 and 2013, who received Bridging Visas and were released into communities while their applications for protection were heard. If the Federal Court's last decision is upheld, the family can be deported back to Sri Lanka at any time after February 1.